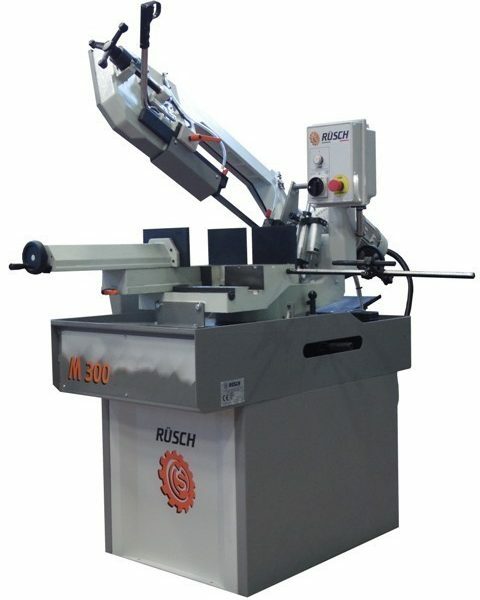 RÜSCH M 300 M, Manual band sawing machine. Cutting from + 45 ° to -60 ° angle cuts. 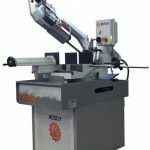 Machine stops in case of blade breakage or insufficient voltage. Electric pump for blade lubrication. Key-controlled safety switch on the blade guard. Accessories: Material support roller – Instruction manual for use and maintenance – wrench kit supplied. Optional extras: 2m infeed roller track – 2m outfeed roller track – 2m outfeed roller track with length stop.